Now that the Christmas jumpers have been put away for another year and the remnants of the last selection boxes have finally been consumed, people’s thoughts often turn to a fresh start. It might mean joining the gym, giving up that takeaway or simply de-cluttering your life. This should include delving into your wardrobe and sorting it out once and for all. 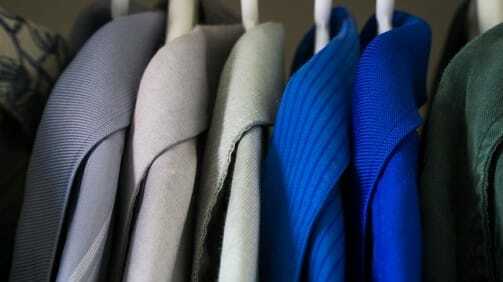 Here’s our guide to good wardrobe management! Time – allow at least 2 hours! Sort – the most important step! The Zip Yard now have 27 boutiques nationwide. Each ground floor location boasts roomy, private fitting rooms for comfortable personal consultations with their expert tailors. Happy new year…and happy new wardrobe!